Ryan O'Neal and Marisa Berenson star in director Stanley Kubrick's lavish adaptation of William Makepeace Thackeray's classic 18th-century novel The Memoirs of Barry Lyndon, Esq.. 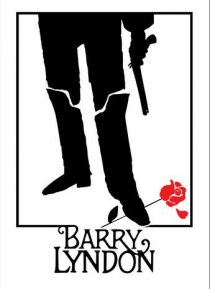 Forced to leave Ireland after killing an English officer in a duel, handsome young Redmond Barry seeks his fortune as a soldier in Prussia, as a spy then as a gambler living among the elite of Europe. He changes his name… and marries an aristocrat for her wealth, but the acceptance he seeks finally eludes him.